The Preservation, Archive and Rare Books Department (PARB) is situated in the basement of Dr Williams's Library. Teaching, training and scholarship are a priority in this department. The training of volunteers is carried out on a regular basis. At present the department has nine volunteers who work on archive and/or conservation projects. 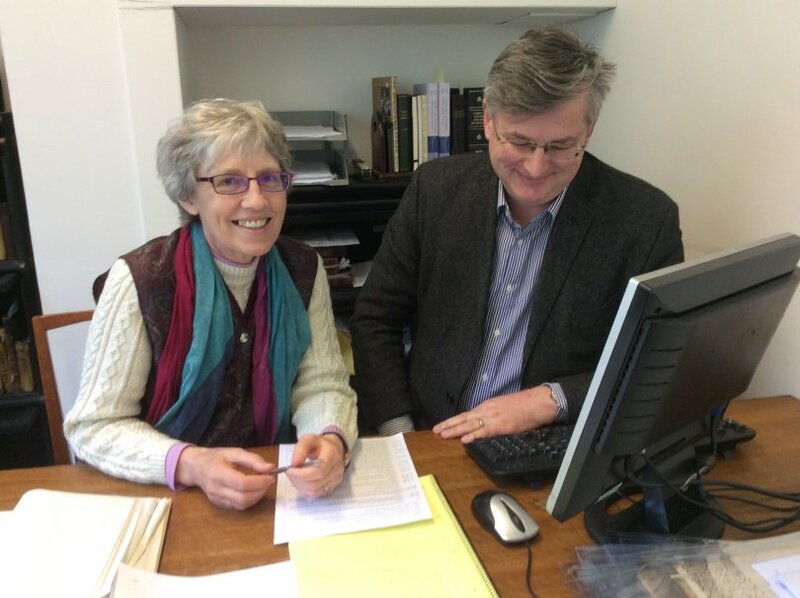 The procedures for enrolling volunteers begins with an interview by the conservator who is joined by either the director or one of the trustees. Training sessions include the handling of various types of materials. Volunteers attend a session on identifying materials, a paleography class taught by Elizabeth Danbury and an outline to the history of English nonconformity given by Alan Argent. Digital photography sessions are also arranged. All volunteers have the choice to attend Nicholas Pickwoad's history of bookbinding class which takes place each year as part of the Rare Books Summer School run by the Institute of English Studies. Some experienced volunteers require little training and bring their own expertise. Ann Hughes retired from Keele University in 2014 as Professor of Early Modern History. Ann did her BA and PhD at Liverpool University and worked at the Open University and Manchester University before her appointment at Keele in 1995. She has worked throughout her career on the political and religious crisis of mid-seventeenth century England, a period she regards as an English Revolution. Her books include Politics, Society and Civil War in Warwickshire (1987); The Causes of the English Civil War (1991,1998); Gangraena and the Struggle for the English Revolution (2004); and Gender and the English Revolution (2011). She is particularly interested in religious debate and controversy, the history of the book and of reading, and in manuscript circulation. Her current project is on preaching and hearing parliamentarian sermons in the 1640s and 1650s. 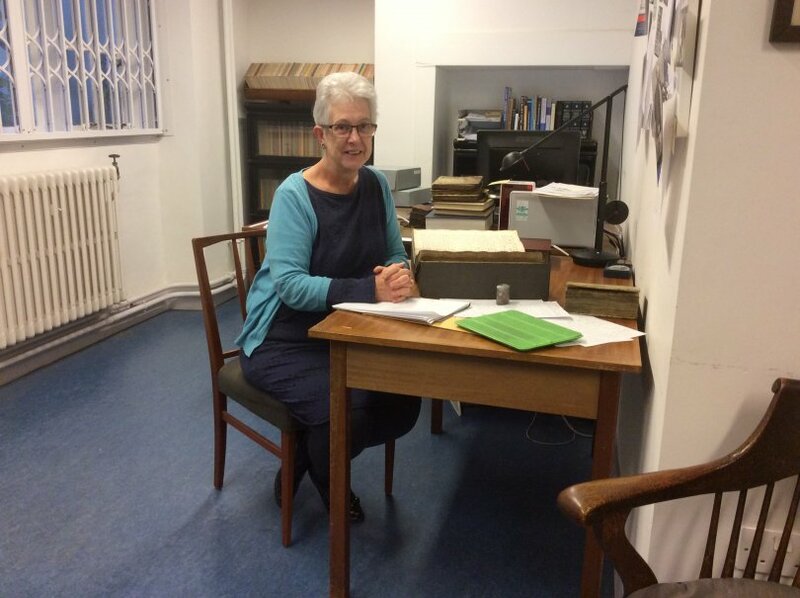 The collections at Dr Williams have been important for all her work and she will be delighted if she can contribute in turn to the library's work as a volunteer. She was elected as a Vice President of the friends of Dr Williams in 2016. Dominique March studied English at Strasbourg University and has taught French in England for over thirty years. She is passionate about arts and crafts, photography, drawing, and the natural world. She is also a skilled knitter and embroiderer. Dominique remains a keen linguist and is currently improving her knowledge of Japanese. She is an avid reader of nineteenth-century English Novels particularly those by women writers. Philip March studied French and Russian at Oxford University, trained as a teacher at the Institute of Education in London, and then taught French for thirty years. He completed an MA in Victorian Studies at Birkbeck College, London University, and is currently working towards a PhD on the Congregationalist and pioneering journalist W T Stead. His interests include reading nineteenth-century novels, creative writing, and the work of Sigmund Freud.